Winter is here, which means so is hockey season. And if you have any hockey players in your household, there are a few realities that you’ve been forced to accept. One, hockey is a time-consuming sport. Two, hockey equipment stinks. Like, really stinks. Like, stinks so bad that the hockey bag has been designated to either the basement or the garage. You’ve likely tried multiple types of deodorizing sprays to no avail, and may have even given up on trying to get the gear to smell nice altogether. Air it out. 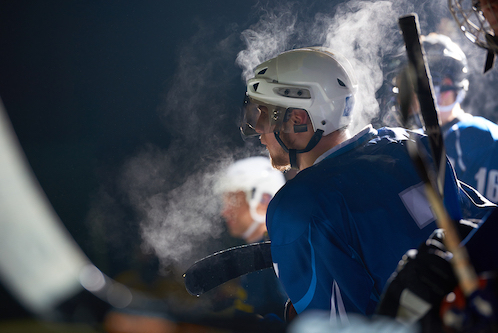 Start by airing out the hockey equipment after a practice or a skate. This helps moisture dry and prevents mildew and mold growth from setting in. Airing out the gear can be as simple as opening up the hockey bag or arranging it on a special drying rack. Wash it. Many people don’t realize that just about any piece of hockey equipment can be safely washed. We’re talking jerseys, pads, gloves, socks, pants, the jock – literally any piece of hockey equipment can be safely washed aside from the skates and the helmet. Use front loading washers. Front loading washing machines tend to work better than top loaders because they’re better able to tumble the equipment. Choose the right detergent. We recommend picking a detergent that doesn’t contain bleaching agents, as these may damage the equipment. Consider adding a scoop of washing soda or a washing booster for extra oomph in getting rid of the smell. Dry it. Dry the equipment either on a low heat setting or via air drying. And viola! No more stinky hockey equipment. That is, until the next practice.